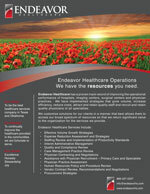 Serving Small Community Hospitals and Physicians Since 2010. 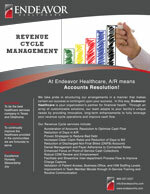 Endeavor Healthcare is a values based, results driven company serving the rural communities of Texas and Oklahoma since 2010. We have a broad array of services available to meet the needs of any small community hospital or physician practice. Please look through our website to learn more about our experienced, motivated team, the services we provide and the clients we currently are fortunate to serve. A conscientious effort toward an end. Purposeful or industrious activity; enterprise. Services to assist in rural and public healthcare needs. 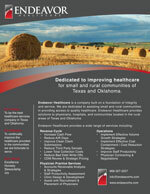 To be the best healthcare services company in Texas & Oklahoma. To continually improve the healthcare provided in the communities we are fortunate to serve. Excellence - Pursue greatness in all that we do. Honesty - Always tell the truth and do what we say we will do. Stewardship - Manage resources responsibly. Joy - Celebrate life and all it has to offer. Copyright © 2019 Endeavor Healthcare. All rights reserved.